Installing Safety Switches is not only a legal requirement, but a valuable investment in the safety of your family. It provides long-term protection for you against serious injury or death. A safety switch cuts off power if an electrical problem occurs. These problems often go unnoticed until there is an accident. Internal damage in power supplies, small cracks in electrical cables or old, faulty wiring in your walls or light sockets are all problems that can be mitigated with the use of an approved safety switch from DNA Queensland Electrical. Common activities such as using electrical appliances or home maintenance can be hazardous without the protection of a safety switch. Incredibly, on average, more than one Australian dies every month, and dozens are injured as a result home electrical accidents that would have been prevented if a safety switch had been installed. 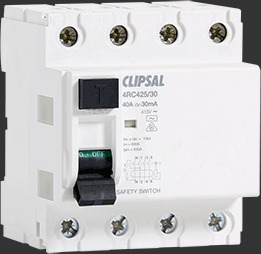 Contact us today to book your safety switch installation.